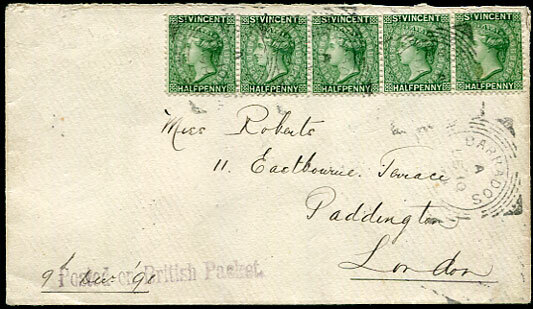 KINGSTON, JAMAICA MR 25 1842 dbl-arc on upper flap overstruck partial MY 10 arrival on entire to Liverpool rated 1/-. 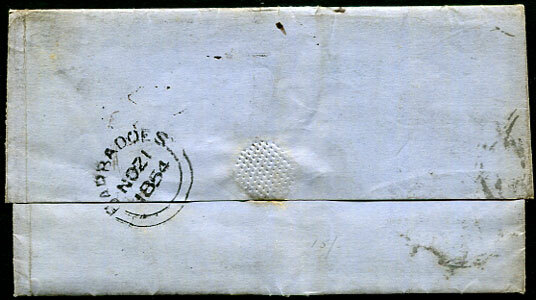 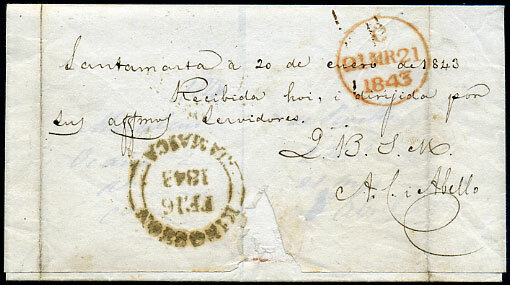 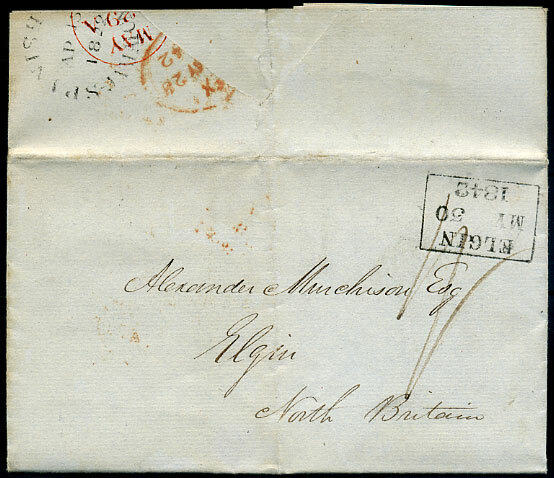 1842 entire showing large part SPANISH-TOWN (P2b) dated AP 15 1842 to Alexander Murchison, Elgin rated 1/- with MY 28 and MY 29 transits and boxed ELGIN/MY 30/1842 arrival. 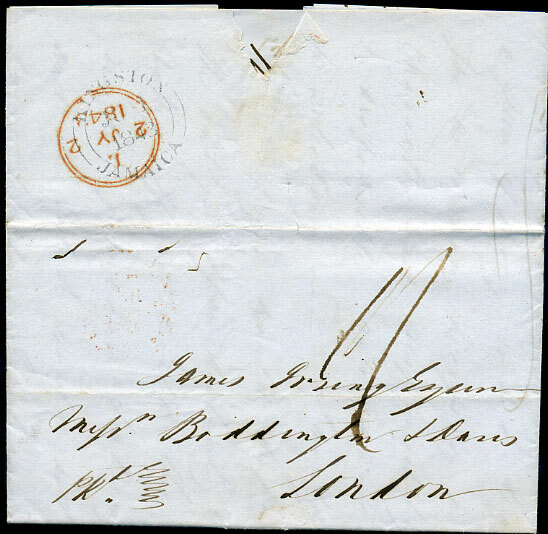 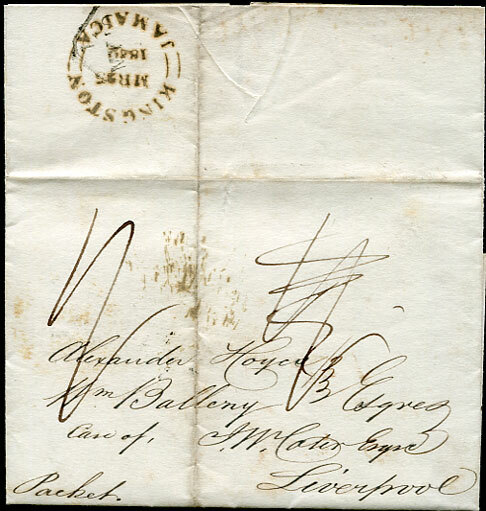 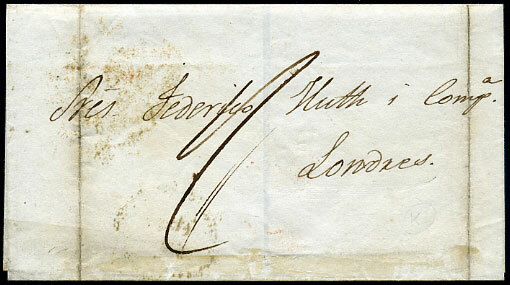 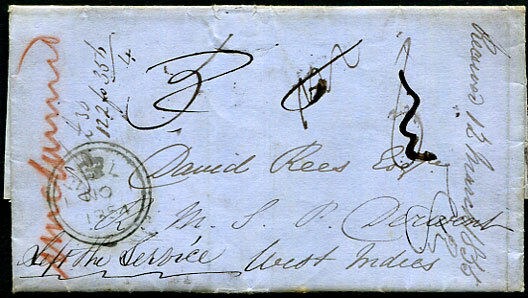 1843 entire headed "Ballards Valley 30th May 1843" to James Irving, London rated 1/- showing KINGSTON JU 1 1843 despatch and London JY 2 1843 arrival.